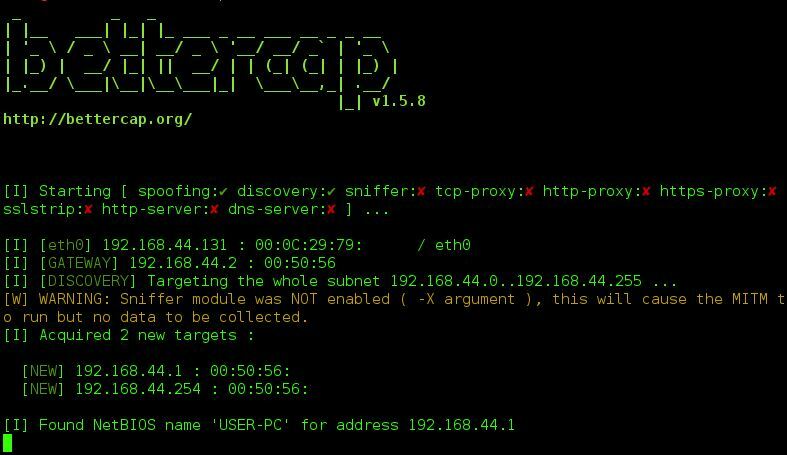 Browse: Home / BetterCap v1.6.2b – A complete, modular, portable and easily extensible MITM framework. * Huge improvement on HTTPS parser, now it parses TLS Client Hello messages with SNI extension in order to extract the real hostname. * Removed IPv6 specific options, use of IPv6 is automatically detected now. 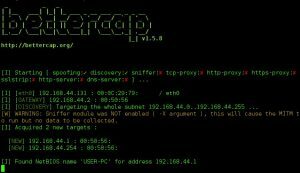 * Updated *BSD firewall manager to support IPv6 forwarding. * IPv6 port redirection option. + Fixed #450: SSL certificate expired. + Fixed #451: Custom proxy module on_pre_request access: undefined method ‘textual?’. + Fixed #382: High CPU Usage on Single Targeting. + Fixed #380: Error while running a UDP proxy. + Fixed #302: SSLStrip module adds trailing slash to domains. + Fixed context ipv6 detection. + Fixed issues with newer packetfu. + Fixed s ifconfig returning ipv6. + Minor fix on HTTP response generation. 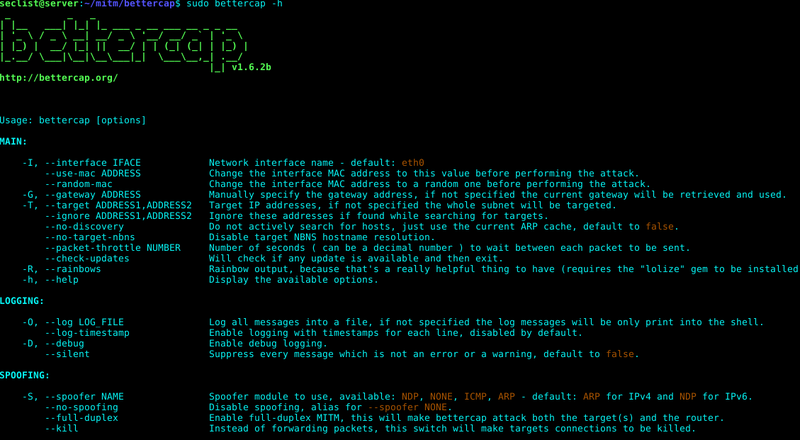 + Added PacketFu monkey patch for NDP. + Minor refactoring of HTTPS SNI parser. 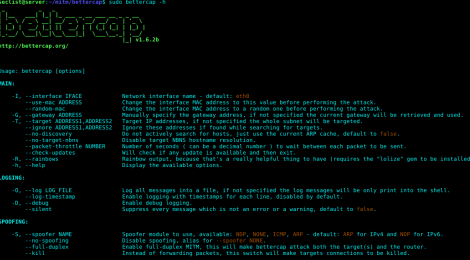 ← maltran – a malware traffic analysis tools.